Mercedes-Benz have updated their A-Class range and they go on sale here in Australia in August. There’s been quite a few technical additions, a change to the motorvation, and repackaging to provide more room inside. The first model to be released will be the A200, with the A180 and A250 to come before Christmas. Perhaps, however, the prime attraction is what’s called MBUX. The Mercedes-Benz User Experience is a voice activated and controlled natural language recognition system. 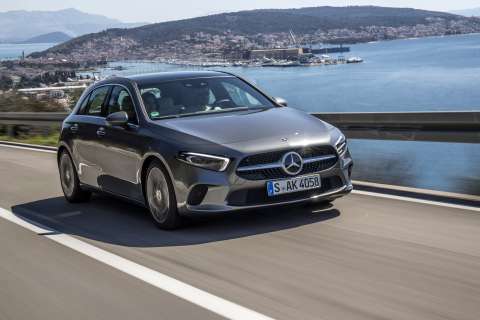 The words “Hey Mercedes” are the starting point, and this will allow a driver to speak and enter a navigation destination, select music types or stations, make end end phone calls on the go, send texts, and operate vehicle functions. An AI system will modify the MBUX as it learns the vocal styles of the user/s. You can find out more about it here A new engine foe the A-Class is the 1.33L, 120kW, 250Nm petrol fed four. That’s mated to a new seven speed auto which is good for a 5.7L/100 kilometre fuel economy (claimed,combined). This is inside a 4419mm length, up from 4299mm. The wheelbase goes to 2729mm, an increase of 30mm from the previous model. Extra width of 16mm and internal repackaging has 9mm and 22mm extra shoulder room front and rear, with 7mm and 8mm extra headroom as well. There’s been a twenty kilo weight reduction, part of which comes from a reduction of the window trimming. This aids visibility all around. 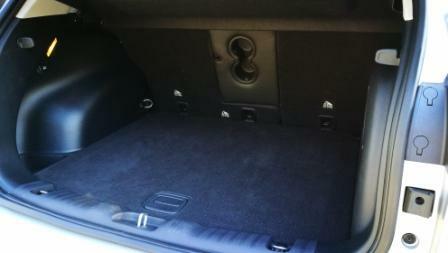 Even the boot has been increased, with a new 370L capacity, up 29L. There’s new 18 inch “Aero” alloys, a pair of10.25 inch digital screens that tie in with the MBUX system, keyless start, wireless smartphone charging for compatible handsets, LED headlights, and NTG 6 MB Navigation. 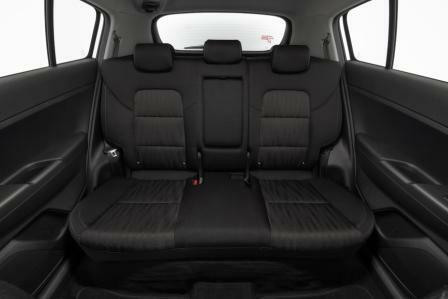 Safety levels are huge, with nine airbags on board (front, pelvis side and window bags for driver and front passenger, side bags for rear occupants and knee bag for driver. Mercedes-Benz also add in as standard Active Brake Assist with a semi-autonomous brake function. Active Lane Keep Assist, Active Park Assist with M-B’s Parktronic, and Blind Spot Assist, Traffic Sign Assist, and high quality reversing camera. Mercedes-Benz are quoting $47,200 plus on roads and dealer delivery, with an expected on-sale date of August 10. You might be scrupulous about washing the outside of your car, and possibly waxing it as well, but what about the inside of the car? If you’re the typical Aussie driver, whether you’re doing the daily commute or the school run, or if you’re a tradie, consultant or sales rep who’s always on the road, it’s all too easy to let the inside of your vehicle get a bit on the cluttered side. In-car clutter takes a range of forms, from obvious mess and rubbish that you’re going to get around to cleaning up one of these days, through to that spare jumper or raincoat you stashed in the luggage compartment of your hatchback (and another spare raincoat and a puffer jacket and…). And there’s everything else that you’ve put in the glovebox or the centre console because it might be useful at some point. 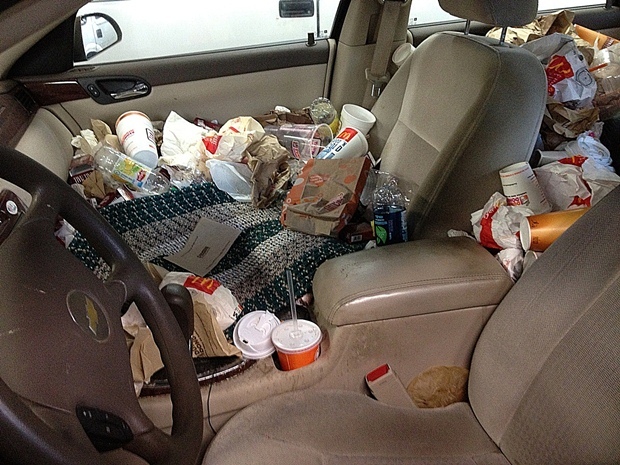 Clutter in your car is a problem for a number of reasons. Firstly, it’s visually annoying and it doesn’t make for a very pleasant journey if you have to spend a long time in a car that’s full of stuff. Secondly, having a large number of loose objects rolling around in your car can be something of a safety hazard in the situation of an emergency stop. Thirdly, you end up having trouble finding what you want in a hurry if your car is full of all sorts of odds and ends (I know I had that change for the parking meter in here somewhere…). Fourthly, all those little things add up and you could be carting about a kilo or even more of useless junk that shouldn’t be in your car, and this will decrease your fuel efficiency, even if only by a tiny bit. So how do you go about decluttering and organising your car so that you have the useful bits you need in the car for emergencies but don’t have too much? The good news is that decluttering a car is a lot easier than decluttering your garage (we won’t go there! ), as it’s not a huge space. OK, decluttering a little Mini is going to be quicker than decluttering a Range Rover ! However, from a small city hatch through to a big bush-bashing seven-seater 4×4, the basic principles are the same. (Here, I’ve got to do a shout-out to US clutter-free guru Kathi Lipp for the outline of the basic principles and stages of decluttering anything). Get it all out. Pull everything out of your car. Everything. Including the mats, as there could be something underneath them that needs to go. Sort it. Here, the most efficient system seems to be the “Three Boxes, Two Bags” method (thank you, Ms Lipp!). The three boxes take items that are fall into the categories “Put It Back”, “Give It Away” and “Put It Away Somewhere Else”; the two bags are for rubbish and recycling. Of course, you don’t need to get too hung up on whether you’re using a bag or a box! Put some music on while you sort and don’t stop to read anything or put anything away just yet. Stick to the job and concentrate on what you’re doing. It’s best if you don’t enlist help from your nearest and dearest at this stage, as this could lead to arguments about how many CDs or aux cords need to live in the car. Call them in at later stages. Clean it. Now that you’ve got everything out of your car, this is a good moment to grab the vacuum cleaner and maybe a rag and some cleaning spray of your choice, and give the interior of your vehicle a good going-over. You probably don’t need to polish the leather seats or shine up the chrome – unless you’ve got lots of time set aside for this job. Put it back. The first set of stuff that you’ve taken out of your car that you will deal with will be the “Put It Back” items. Exactly what you will put back in your car will vary from person to person, but for me, the items to be put back would always include the manual, a first aid kit, a phone charger, hand sanitiser, some tissues (which can be used to clean the inside of the windscreen as well as to blow your nose), an old-school paper map for when you’re out of reception or when Google Maps has decided to send you round the long way, the logbook (I use my vehicle for business purposes and have to track this) and a pen. Spare change for parking meters also doesn’t go amiss, and nor does a packet of nibbles such as rice crackers or almonds for those moments when you’re stuck in traffic and getting hangry. 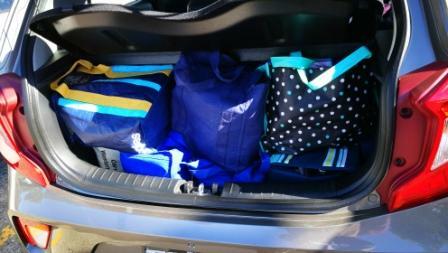 These days, it can be wise to keep your reusable shopping bags in the car as well so you don’t forget them. Other things that may be best kept in your car include jumper leads, ropes suitable for towing, fuses, and a blankets for chilly mornings when the heater is sulking and/or impromptu picnics (and for first aid). Put it away. All those jerseys, toys, coffee mugs, etc. that really belong in the house go into the house right now. You probably want to drop them off in the dishwasher or kitchen sink, or the laundry as appropriate, as they’ll probably be grubby after a stint in the car. Throw it away. The recycling and the rubbish – you know what to do with it. Give it away. These are the items that you don’t use or need any more, such as the charger or aux cable for a phone or MP3 player that you no longer own, the cardie that’s been sitting in the back for so long that the child it belongs to has outgrown it and… oh yes. The bags of stuff that you were going to take down to the nearest charity shop next time you were out. No more procrastinating! As soon as you’ve finished all the other steps, get in the car, start your engine and off you go to get rid of them RIGHT NOW. 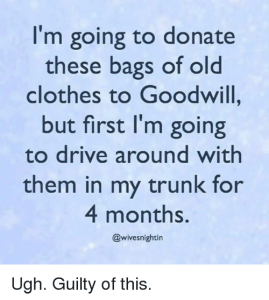 If this really isn’t practical (you live in the country and the nearest charity store or bin is half an hour’s drive away, for example) then make a reminder for yourself so that you don’t forget those bags of old clothes sitting in the boot yet again! Now enjoy having a nice clean car and make a commitment to yourself to keep it that way – or at least try to! Anticipation can lead to either joy or disappointment. 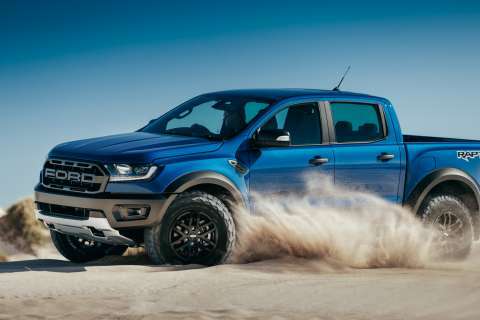 When it comes to the long anticipated Ford Performance Vehicles Ranger Raptor, so far it’s looking more of the former. Here’s what we know. 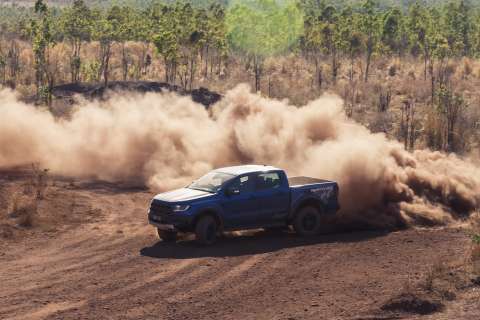 Engine: a 2.0L diesel provides peak power of 157kW and 500Nm (1750 – 2000 rpm)and means the Raptor will have plenty of bite, thanks to a bi-turbo system that will drink from a 80L tank. It’s EURO V compliant at 212 gr/km, will be offering a 8.2L/100 km fuel economy for the combined cycle, and see a top speed of 170 km/h. with a 0-100 km/h time of just over ten seconds. Good figures from a 2.3 tonne machine before fuel and passengers. The transmission is a ten speed (yes, ten speed) automatic with ratios picked to ensure quicker shifts and to be as close as possible to the right gear for the throttle setting. It’s good enough for a 2500 kilo towing (braked) figure. Chassis: 283mm of ground clearance, a broader track than the standard Ranger at 1710mm front and rear, and 285/70/17 wheels & BF Goodrich All Terrain rubber, specially made for Raptor, combine with composite material front fenders and a bumper with integrated LED fog lamps to provide an assertive on and off road presence. Turning circle is a tight 12.9 metres. The load tray is 1743mm in length and 1560mm in width on a 5398mm long body. Maximum width is2180mm with the mirrors out. 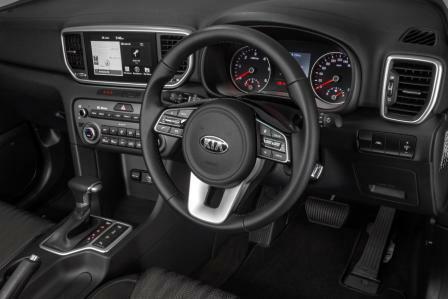 Inside: a bespoke interior with blue stitching, leather highlights and “technical suede” for extra lateral grip, a rejigged look to the instrument bezel, and perforated leather sections on the steering wheel make for a classy cabin environment. Ride and Drive: There’s a Terrain Management System, TMS, which includes a Baja mode. This sharpens up the engine and transmission and blunts the intrusion of the traction control to give a driver a real off-road experience. It’s a pair of Macpherson struts up front and Ford’s tried and true Watts linkage at the rear. Brakes: Plenty of swept area on the discs means plenty of stopping power.332mm x 32mm up front and 332mm x 24mm at the rear meet a 54mm caliper. They’re bolted to Position Sensitive Dampers that provide, at full extension and compression, a higher level of rebound force. Mid range damping force is specifically tuned for comfort during normal driving. Extras: A “breadcrumb” feature in the satnav allows drivers to backtrack the way they came when in areas that may not be included in the mapping system. There’s a Rollover Mitigation System to deal with the 32 degree approach, 24 degree departure, and 24 degree break over angles. SYNC 3 with touchscreen navigation, Auto Start/Stop. What do you do to improve your baby city car? New wheels, some exterior garnishes, additional lighting and a cool exterior colour. What don’t you do to improve your baby city car? Give it more grunt and change the gearbox is what. 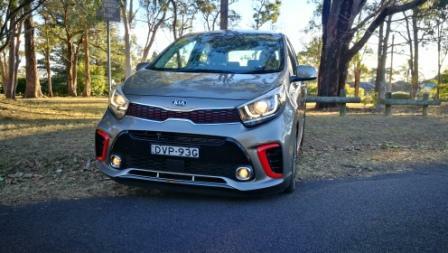 And that’s exactly what you’ll find with Kia‘s otherwise good looking Picanto GT-Line. Quite frankly it’s a wasted opportunity from the Korean car maker. We’ll cover that off later in more detail. What you do get is the standard 1.25L petrol fed four, a four speed auto, 62 kilowatts and 122 torques at 4000 rpm. Fuel economy is, naturally, great at 5.8L/100 km of normal unleaded for the combined cycle from its 35L thimble. Consider, too, a dry weight of 995 kilos before passengers etc. 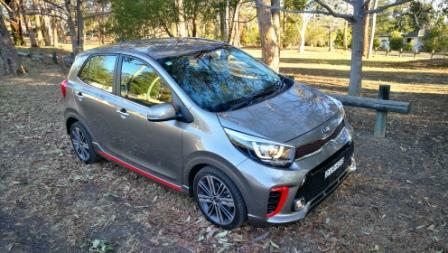 Kia’s rationalised the Picanto range to a simple two model choice, the S and the GT-Line. If you’re after a manual the S is the only choice. Price for the GT-Line is super keen at $17,290. Metallic paint is a further $520, taking the test car’s price to $17,810. It’s a squarish, boxy, yet not unappealing design, especially when clad in the silver grey the test car has. Called Titanium Silver it’s more of a gunmetal grey hue, and highlighted by red stripes at the bottom of the doors, red rimmed grilles for the airvents and the lower section is splashed with silver around the globe driving lights. The grille itself is full black and the angle of the grille combines with the laid back styling of the headlights (with LED driving lights) to provide an almost Stormtrooper look. At the rear the neon light look tail lights complements the twin pipe exhaust. It’s a cool and funky look. 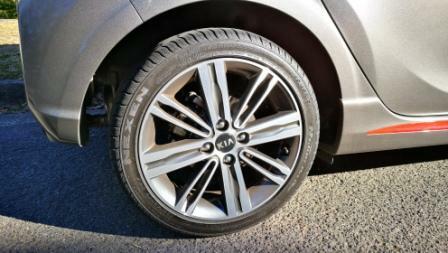 Kia has upped the 14 inch alloys to classy looking eight spoke 16 inchers. Rubber is from Nexen and are 195/45. As a package they look fantastic. Going further is the grip level. For a vehicle that’s a long way off from being a sports car it has some of the most tenacious grip you’ll find under $30K. AWT’s Blue Mountains lair is close to some truly good roads for handling and ride testing. On one particular road, a specific one lane and one direction (downhill) road, the slightly too light steering nevertheless responds to input cleanly and succinctly. Cramming a 2400mm wheelbase inside an overall length of 3595mm helps, as does the low centre of gravity. It’s a throttle steerer too; come into a turn and back off, let the car make its own way and feel the nose run slightly wide. Throttle up and the nose settles, straightens, and all is good with the world. Body roll is negligible and direction changes are executed quickly, Braking from the 254mm and 236mm front and rear discs is rapid, stable, and quick. Ride quality from the Macpherson strut front and torsion beam rear is delightful for the most part. 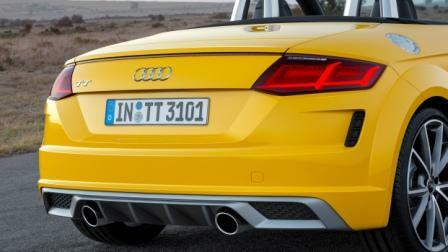 It does lend towards the taut and tight side and that could also be attributed to the lower profile rubber. Yet it’s never uncomfortable in normal and everyday usage. Hit some ruts or ripples and it’s here that the Picanto GL-Line gets flustered. The short travel suspension will kick back at the chassis and the car will, momentarily, become unsettled. On the flat it’s composed and will provide a comfortable enough ride but with any undulations may get a little choppy thanks to the short wheelbase. It’s on overtaking or uphill climbs that the drive-line shows its Achilles heel. Kia seems to be the only car maker that has stayed with a transmission so archaic and out of step with the industry. For both versions of the Picanto, as much as many loath them, a CVT would be a better option. For the GT-Line, and emphasis on the GT, a turbo engine such as those found in the Suzuki range or even Kia’s own tech would be a better option. 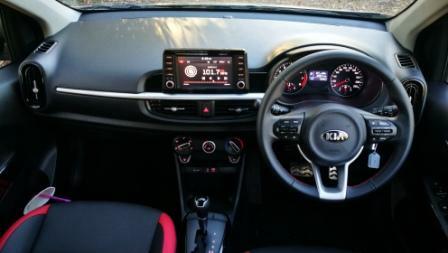 Although our test drive finished on a commendable 6.6L/100 km, an extra cog or two would help that and make the Picanto a far more enjoyable car to drive. Inside, too, could do with a lift. Although there’s piano black door inserts with hints of red striping, and red highlights on the driver and passenger seats, the rest of the cabin, complete with Cadillac tail-light inspired air vents, lacks real cache compared to the opposition. Considering its size there’s adequate room up front, barely enough for the rear seats, and a 255L cargo space over a space saver tyre that’s fine for two people shopping wise. All good however the standard all black theme would greatly benefit from strategically placed dabs of colour. However, there’s an Audi style touchscreen mounted on the upper dash edge. 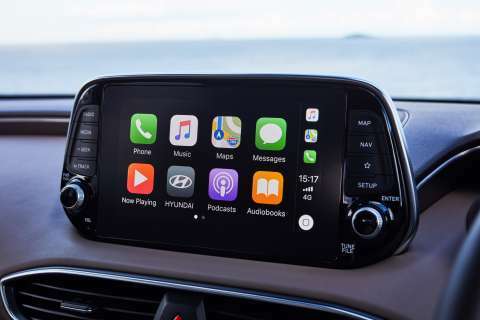 Android Auto and Apple CarPlay are on board but satnav isn’t, meaning you’ll need the smartphone connection for guidance. It’s AM/FM only, so misses out on DAB. The 7 inch screen is clean and user friendly, as is the driver’s view. Simple and unfussed designs work best and here Kia has nailed that. 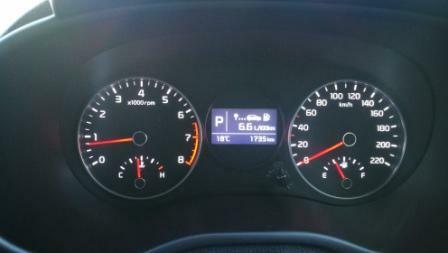 Two dials, speed, engine revs, fuel level and engine temperature. Simple. A centred monochrome info screen with information made available via tabs on the steering wheel. Simple. Small in size the Picanto GT-Line may be but it doesn’t lack for tech. AEB or Autonomous Emergency Braking is standard, as are Euro style flashing tail lights for the ESS or Emergency Stop Signal. Add in six airbags, vehicle stability management, Forward Collision Warning, and it’s pretty well covered. It does miss out on Blind Spot Alert and Rear Cross Traffic Alert though, but rear sensors are on board. 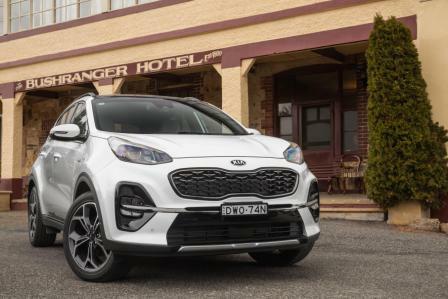 This is all backed by Kia’s standard seven year warranty and fixed price servicing that will cost just $2552 over seven years. The Kia Picanto and the 2018 Kia Picanto GT-Line represent astounding value. Consider a RRP of $17,810 plus on roads, a decent set of safety features, and that could be better than it is fuel economy, and it’s a walk up start for anyone looking for a city car that’s a good looker, a sweet handler, and will have enough room for a average shop for one or two people. Our shop for four filled the boot and required only a bag or two to be relocated to the back seat. 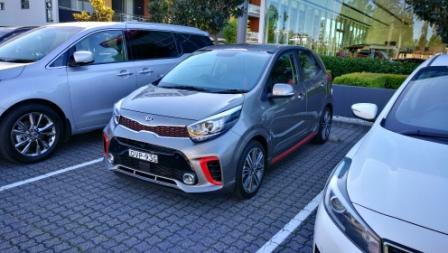 Kia’s Picanto is a very good car, but a real need for change in the engine and transmission would make it better. Yes, it’s economical but could be better. 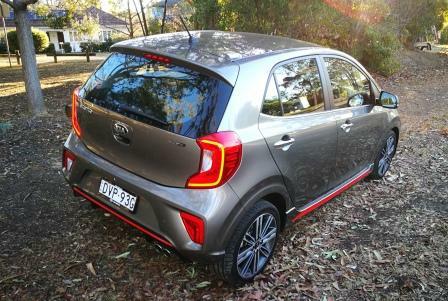 Drive one and make up your own mind or have a look here 2018 Kia Picanto info to find out more. They’re the lifeblood of the small courier driver business, of the larger postal delivery services. LCVs or Light Commercial Vehicles come in various shapes and forms, including the van. There’s plenty to choose from and Volkswagen has just made that choice even more difficult. 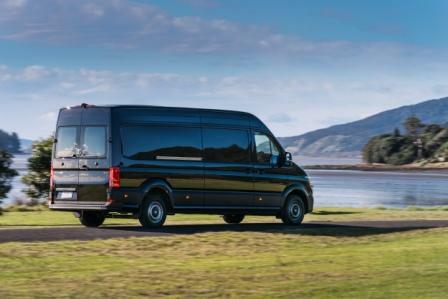 The Crafter range offers a more car-like experience both inside and out. 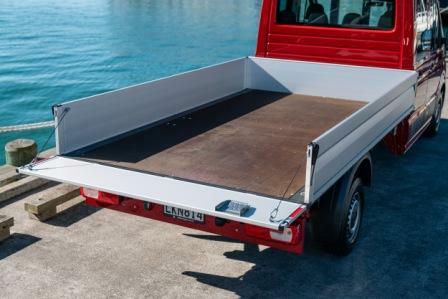 There’s the Medium wheelbase, Long wheelbase, Long wheelbase with Overhang, the cab chassis versions in both single and dual cab options and with single and dual rear wheel designs. All up a new Crafter comes in a minimum of 36 versions but with 4 body styles, 3 lengths, 3 heights there’s a total of 59 derivatives including front wheel drive, rear wheel drive, and 4MOTION all wheel drive. The starting price for the immense range is for the Crafter 35 TDI340 LWB (Long wheelbase) SCC (single cab chassis) 8 Speed with auto and FWD at $48,290. 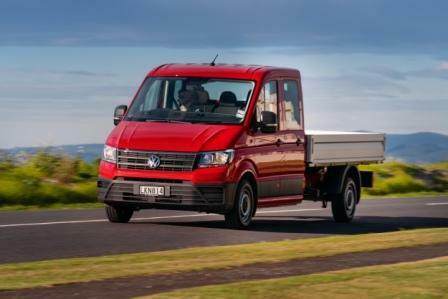 Just two hundred more sees you in the Crafter 35 TDI340 MWB (Medium Wheelbase) Van 6 Speed Man ‘RUNNER’ front wheel drive. There’s different load capacities that are dependent on which drive configuration is chosen. 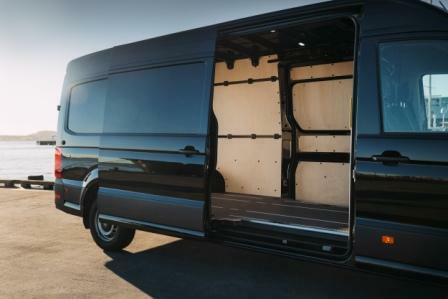 Tick the front-wheel drive option and there’s a cargo capacity of up to 18.4 cubic metres and a maximum cargo space height of 2196 mm. Total permitted weight is between 3.55 to 4.0 tonnes. Load width between the wheel arches is 1380 mm and cargo space length is 4855 mm. 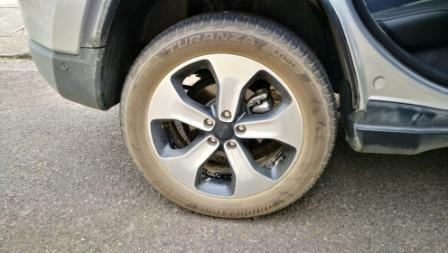 Have the driven wheels at the other end and the permitted total weight ranges from 3.55 to 5.5 tonnes. The load width on the heavy vehicles with dual rear wheels has been increased in comparison to the previous model by 402mm, thus allowing it to be loaded using a wider range of standard carriers. Inside it’s a more comfortable workspace. LED lighting has been fitted, the base model has four way electric adjustment and there’s a higher level of comfort available. Called ergoActive, it’s part of a German health and safety campaign to help drivers look after their postures and driving positions. Central locking is standard, dual zone climate control is available, and the Trendline package offers extra features such as a second 12V socket, chromed highlights, and front fog and cornering lights. Dimensions wise there’s the medium wheelbase 5986mm, a long wheelbase at 6386mm, and the overhang version with 7391mm. Engine wise there’s a 2.0L diesel that offers either 340Nm or 410Nm. More features and details will be released in coming months. 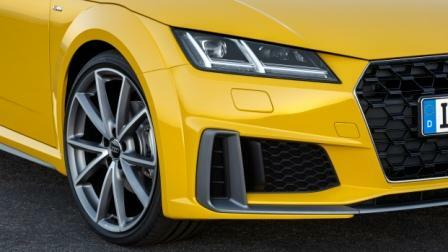 Head to Volkswagen Australia for more information and to register for updates. 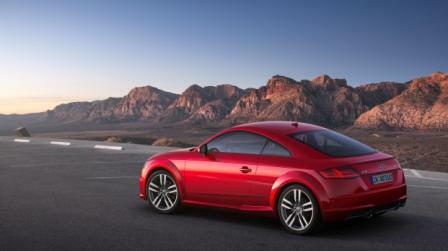 Audi‘s iconic TT coupe made its world debut in 1995 and was available for sale in 1998. The 2018/2019 update brings exterior and interior changes, and updates to the drivetrain. There’s a six speed manual, and a new seven speed DCT or dual clutch auto. The S Line package or magnetic ride drop the ride height by 10 millimetres and work with the progressive steering and four link rear suspension to further enhance the already fluid handling. Standard wheels are 17 inches in diameter, with 18, 19, and 20 as options. These complement the redesigned front and rear, with interior features accessing the Audi drive select dynamic handling system that’s available from the base model, a rain and light sensor, heated exterior mirrors, and the multi-function steering wheel plus This allows the infotainment and voice control system to be controlled entirely using the steering wheel. Also standard are the illuminated USB ports as well as Bluetooth for wireless pairing of devices. The front has a more assertive grille and is flanked by stylish air vents with the rear featuring a subtle work-over to the classic lines. The new TT is due for Australia in the first six months of 2019. 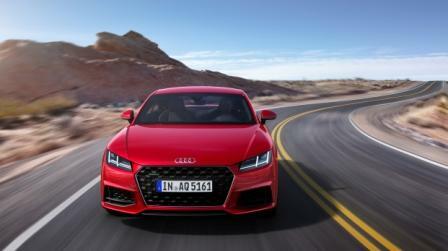 Head to Audi Australia to register your interest. The chances are your car was designed by a man, but with more women becoming involved in the automotive industry we might well wonder whether our car was designed by a man or a woman? This is an interesting question that many of us have likely never given much thought to. We all love a nice looking, nice driving car, so I wonder how many women are involved in the automotive design industry that we don’t know about. Really, there are very few clues that would reveal a car designer’s gender. There’s no doubt that the automotive industry is still dominated by men, but women are beginning to make important inroads. The vast majority of female car designers are employed doing textile jobs where they select seat fabrics, choose exterior colours, and oversee the interior design and styling. Exterior design, which is considered to be the choice job in automotive design, is led by men. It’s not that automakers are wilfully trying to keep women out of the top design jobs. Indeed, Motor Trend’s spokesperson MacKenzie thinks that “If there was a woman designer who was talented, a hard worker and competitive, which is what this job demands, the car companies would knock each other out of the way and rush to hire her.” Maybe the early years of a person’s life, and there exposure to certain things, has more to do with what type of work will interest them later in life. The stereotypical one kind of toy for boys when they’re young and another kind of toy for girls might have more influence on the shaping of their career choices than first thought. MacKenzie says that the majority of students who come to the design school were smitten at some point in their lives by the look and performance of vehicles – and not just cars but things with wings or things that zip down rails. This is fascinating stuff and begs the question that perhaps dolls and tea parties aren’t the only thing small girls might be interested in. Definitely, I found our daughter, as a child, often played with cars and blocks as well as playing rugby with her older brother. She also had dolls to play with, too. Her passion for rugby still continues to this day as well as her love for Jeeps. She is just about to finish high school and attend university to study physiotherapy. 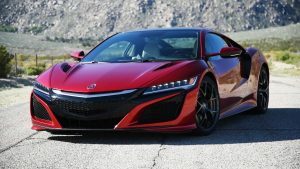 2018 has provided us with some wonderful new car designs, and one of the raciest and best looking super car designs has to be that of the beautiful Honda NSX. This gorgeous design was, in fact, designed by Michelle Christensen, the Acura NSX exterior design lead. How did she get there? Michelle Christensen is the first woman to lead design on a supercar. She directed the eight-person team responsible for Acura’s (Honda’s) resurrection of the NSX, which ended production in 2005. In her words: “They wanted an emotional, 3-D kind of feeling,” Christensen says. “My priority was to keep that.” Prior to designing the NSX, Michelle worked on Acura’s RLX sedan and its now-discontinued ZDX crossover. She grew up working on muscle cars with her father in their San Jose, Calif. garage and got her design chops at Pasadena’s Art Center College of Design. There’s that childhood input again. The fact that Acura chose Michelle Christensen as the lead for the awesome NSX’s exterior speaks volumes about the inroads women are finally making at the upper ranks of automotive design. Awesome! Did you know that the once GM’s leading artist-engineer H.J. Earl (Harley) saw into the the future and drew input from his group of talented women designers, and they came alongside his “all-male” car designers. His women automotive designers of the 1950s proved to be ground-breaking, controversial and extremely successful. In 2004 Volvo Cars unveiled a concept car that, till then, had never been attempted in the more than 100 years of automotive manufacturing: the first car designed and developed almost exclusively by women. Unveiled at the New York Auto Show, the car, though created from a woman’s perspective, included features appealing to both sexes — including easier maintenance, intelligent storage solutions, a better line of vision, computer-aided parking and a bold, yet elegant, exterior. 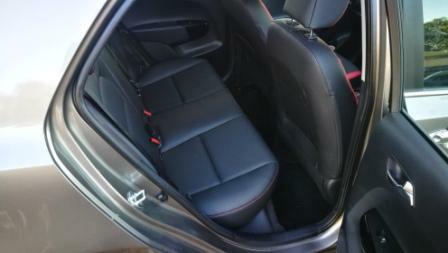 The car included features not typically found in man-made cars: no hood; no gas cap; easy-clean paint; head restraints with room for ponytails; numerous exchangeable seat covers of various colours and materials (linen, leather, felt, etc. ); compartments for handbags; gull-wing doors that make it easier to load and unload larger items and children; computerized assistance for parallel parking; and improved sight lines. Owners carrying large items were able to set the doors to open automatically when they reach the doors. At the point-of-purchase, retailers can conduct a body scan of the driver measuring height and length of arms and legs. The data is stored in the vehicle’s key, and the car recommends a seat position for the driver that provides her or him an optimal line of vision and reach. The car also electronically notifies the owners chosen service centre when maintenance is due, and the service technician contacts the owner to book the appointment. Do any of these ideas/features that these women thought of sound familiar in any of our brand new cars today? The answer is definitely yes – the automatic door and boot rings a bell! 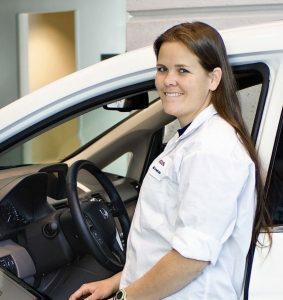 Bridget Hamblin, a Honda Civic engineer, led the car dynamics team responsible for the performance of the 2016 Honda Civic, the brand’s most important car and winner of the prestigious North American Car of the Year award. Hamblin earned degrees in mechanical engineering at Penn State and the University of Dayton before joining Honda as an engineer working on vehicle suspension and steering in the research and development department. She says that: “Rather than having sought out the automotive industry, it found me. My education in mechanical engineering proved to be a perfect fit in vehicle development.” An Automotive research and development engineer with nine years of experience and a strong background in vehicle dynamics, objective vehicle testing, vehicle handling metric development and passenger car development has gotten her along way ahead in automotive design. Women purchase about half of all cars on the market and influence the vast majority of car sales, yet for a century men have made most of the decisions in the design, development and production of a car. Let’s see a greater shift in these traits! Jeep. It’s a name that’s synonymous with unbreakable cars, uncompromising off road ability, and being uniquely American. Well, once. Any Jeep labelled TrailHawk is still uncompromising in its ability to deal with mud, snow, sand, gravel, as easily as the tarmac, but not all Jeeps are unbreakable and not all Jeeps are American. I reviewed a Jeep a couple of years that refused to play ball. It was a time when quality control wasn’t part of the first sentence in how to build one. 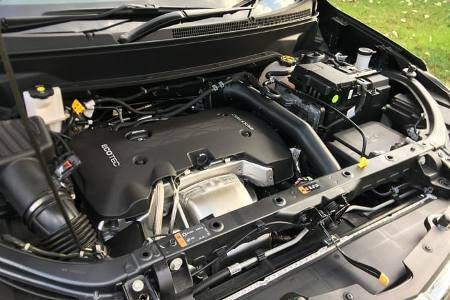 Thankfully it seems those times are well and truly past as our Indian built 2018 Jeep Compass Limited with 2.4L petrol fed “Tigershark” engine proved. The time the Compass Limited spent with us coincided with a trip that would ultimately cover 1150 kilometres. This would start at AWT’s Blue Mountains based HQ, south via Goulbourn and Queanbeyan, east of Canberra, to Cooma before overnighting at the Aalberg Chalet. Mine hosts were Ulla and Lindsay, an engaging and effervescent couple, providing an atmosphere of welcome and warmth. From there a few hours at Thredbo for ski lessons for my junior staffers, before a drive along the “Barry Way” via Dalgety, the Boco wind farm, and the parched depths of the NSW plains before our eastward bounds journey had us in Bega for one night. From there is was north through Narooma, Ulladulla, and Nowra, diverting through the gorgeous Kangaroo Valley and marveling at the once ocean floor cliffs before rejoining the Hume on our way home. The Compass sits above the Renegade and below the Cherokee in Jeep’s substantial range. A choice of four trim levels are available, with Sport, Longitude, Limited, and TrailHawk on offer. The Compass Liited has a 2.4L petrol engine named Tigershark, or the preferred for long distance haulage diesel. The petrol engine has 129kW, 229 Nm, and a nine speed CVT auto. Fuel consumption is quoted as 9.7L/100km on a combined cycle from the 60 litre tank and 7.4L/100 for the highway. AWT’s best figure was 8.6L/100km on a purely highway driven cycle. This was with four up and the cargo area filled with three bags/travel cases. The petrol Limited’s weight is 1503 kilograms dry. Our journey starts with an eastwards bound run from the lower Blue Mountains to one of Sydney’s orbital freeways, The M7 takes drivers south towards the city bound M5 or the Canberra and beyond Hume. What’s immediately noticeable is suspension tune. It leans towards the harder side of compliance, and there’s an initial feeling that tyres were at the wrong pressure. That didn’t turn out to be the situation. What was also becoming clear was the lack of torque at low revs. On the flatter country roads it would purr along in a quiet, unfussed, manner. Thew CVT changes smoothly, unobtrusively. 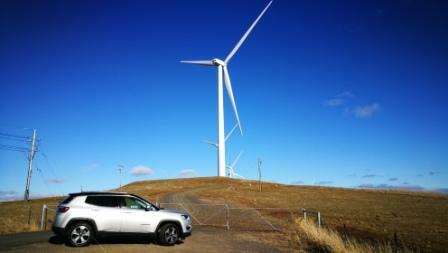 Heading towards Goulbourn, around two hours drive south of Sydney. there’s some good long gradients that test cars and with that peak torque available at 3900 rpm it needs a hefty shove on the go pedal to get the engine and transmission to drop back enough to get close to that rev point. Forward motion slows appreciably and in order to keep safety up for traffic flow, more pedal is needed. Downhill runs have the CVT finding itself in a cog and holding that, using the engine as a braking device. This would be ideal in a hybrid to charge batteries but it’s disconcerting in the Compass as it holds revs in the upper range. There’s a little more effort than expected to move the gear selector left to engage manual shift mode and override the computer’s selection choice. The movement isn’t silky smooth either. 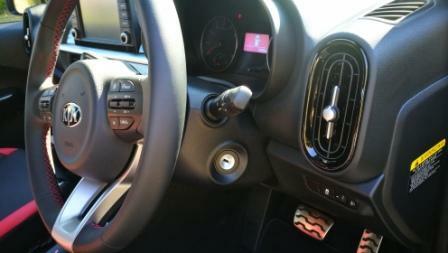 The same applies to the indicator stalk, mounted on the left hand side of the steering column in this case. There’s a plasticky click to engage but there’s an upside. Just about every other car maker has a soft touch program that indicates just three times. the Compass Limited’s blinker count is five.As the journey progresses south what also becomes noticeable is the lack of real road safety shown by far too many other drivers. NSW and the ACT have a myopic focus on speed as to why people crash. 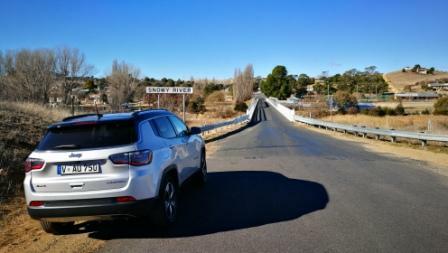 By the time a stop at Lake George, twenty or so minutes north of Canberra is undertaken, the amount of vehicles successfully completing a safe lane change is one. That’s the Jeep. The all purpose rubber fitted, Bridgestone‘s Turanza, with a 225/55/18 profile isn’t a fan of the rougher road surfaces and transmits that to the cabin via the MacPherson strut front and Chapman front rear. Get onto the smooth blacktop and the noise level drops dramatically and the ride becomes far more enjoyable too. Queanbeyan and it’s an 80 kp/h limit. The Compass Limited exercises her brakes here more than anywhere, with traffic lights and roundabouts working together to not make a fluid traffic flow possible. Unexpectedly the initial feeling of the seats being hard and lacking in support is slowly being disproved, with no real sensation of seat cushion related fatigue. 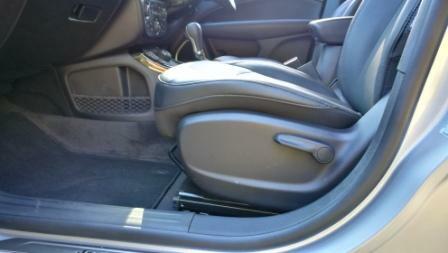 The storage nook based under the passenger seat cushion is handy too. Outside temperatures vary along the way. 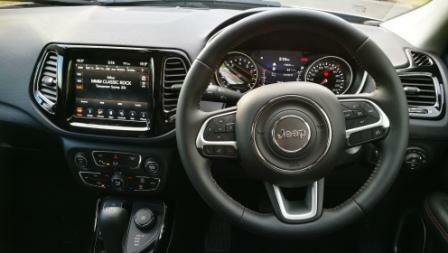 Countering that is the Jeep’s electric seats (quick, thankfully) and dual controlled climate control. There’s dial or icons on the eight inch touchscreen which are well laid out, simple to use, and efficiently effective. Economy has stabilised at 8.6L/100 and a pitstop for a break and top up has been undertaken. 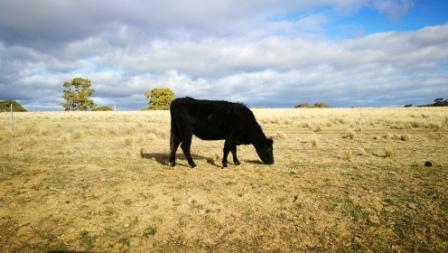 Mid afternoon has Cooma through the front windscreen. We’re in a convoy that includes an Audi Q7 and Ford Territory, driven by people that have no sense of road manners or safety. One overtaking lane has a Range Rover and Corolla ahead of the Jeep, with the Corolla inexplicably moving right, forcing the Rangie to brake momentarily before scooting past the left side of the Toyota. This has allowed us to do the same as the Corolla is clearly struggling. However again that lack of low rev torque is appreciable but the cams come on song at around 3500, and there’s a noticeable in the Jeep’s behaviour. It’s needed as the Q7 ranges up behind the Corolla before a sudden non indicated dart left to take up position a foot shy of the Compass. The merge lane to one lane is here and all of a sudden the Territory is almost buried in the Corolla’s rear, with the driver having no apparent sense of when to brake appropriately. The Jeep’s overall drive and safety package have been tested and passed. Jindabyne and the twisting downhill run to the picturesque town has the steering come alive. Electrically assisted it’s light enough to not feel it is out of touch with the road, and weighty enough to provide a real sense of communication between car and driver. The CVT appreciates this sort of road more, and works in concert with the accelerator to be where it should be gear wise. Being a vehicle that has a 4WD mode that splits drive front and rear on demand, the predominantly FWD bias has the Compass track wide only occasionally. This requires naught more that a tap of the brake or accelerator to bring the nose back on line. Finally it’s time to exit the Compass Limited and it’s a chance to appreciate the cabin ambience. There’s the natural level of fatigue after six hours of travel and breaks, but none extra from the seats and ride. The dash dials have a slightly old fashioned style of font for the numbers, with small LED light points spread around the dials. In between is a colour LCD screen, as is standard in just about every car, offering trip info, average and on demand fuel usage, and more. The rear seat passengers have enough leg room even with the adults pushing their seats back. Rear seat passengers also get a USB point, handy for the older but not yet teenaged ones. There’s a ski-port fold out cupholder for them as well. The front seat passengers have an elegantly designed dash to look at and feel. 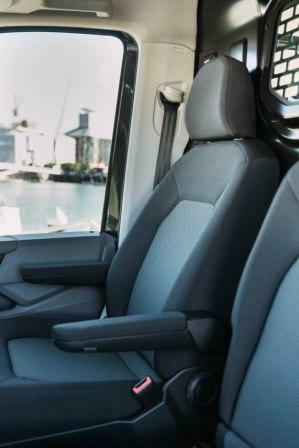 Soft touch materials abound, the trim is subtle, tasteful, and there’s plenty of room for legs, heads, and shoulders. A centre console mounted drive selector dial gives the Compass Limited some off road prowess including Snow, Sand, and Mud. All round vision is excellent and ergonomics including a push button start where one would find a keyhole makes the process natural and intuitive. 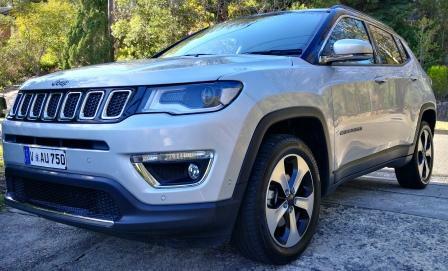 It complements the redesigned exterior, aligning the Compass range more with the Cherokee and Grand Cherokee appearance. Audio is superb and well balanced, with the DAB tuner more sensitive than others, thankfully. What was noticeable was a lack of height adjustment for the passenger seat. 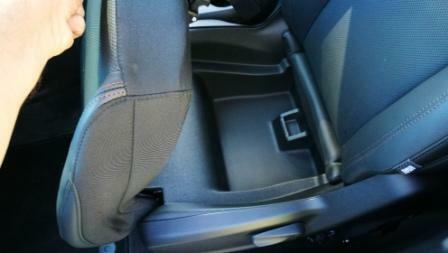 It’s clearly not a big vehicle, making the interior packaging all the more remarkable for its successful implementation. The Compass is just 4394mm long, 1819mm wide, and stands 1644mm tall. It packs in a 2636mm wheelbase and has a stable chassis thanks to the 1550mm and 1546 mm track font and rear. This gives the Compass excellent cross wind stability and helps the compact SUV in its high levels of agility both off and on road. A 212mm road clearance allows for some good running on those tracks well beaten, plus the approach and departure angles of 16.8 and 31.7 degrees, it’s able to handle a good coverage of terrain. 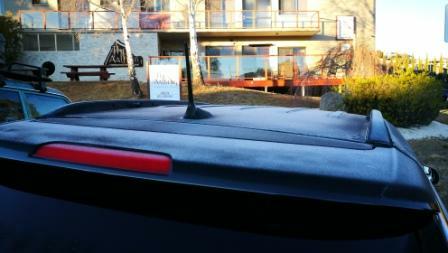 Although Thredbo was cold, it wasn’t overly endowed with snow. This unfortunately didn’t give us a real chance to try the Snow mode for any length of time. However some drifts were found and a simple flick of the drive dial had the Compass Limited crawl its way out without issue. Where the Compass Limited shine came later. From Jindabyne and along the Barry Way the road and terrain is tight, testing the handling and ride. The vistas are incredible, with ridge high roads providing unparalleled views all around. Sadly this meant that the view provided evidence of the terrible drought the farmers are enduring and all too often the tragic signs in a paddock were evidence of this. The flat runs were fine for the auto and engine, but any uphill runs tasked the combination time and again. Anything over four thousand rpm and the noise was thrashy, whiny, and the Compass Limited really struggled to maintain forward momentum, even with the torque coming on stream. However there’s no doubt that with a lighter load the effort would, naturally, be less evident. Evidence of power was seen on the horizon, with a wind farm coming into view and the road would take the Compass directly between the line of the Boco Wind Farm. Almost silent, the huge turbines swung lazily, majestically, with the ridge they’re mounted on hiding a sudden drop to the eastern plains. 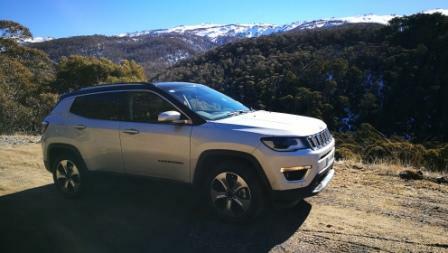 The Jeep’s off road ability was tested somewhat after crossing the Snowy River and heading towards Bega. A rutted, sandy, gravelly road east of Cathcart called the Tantawangalo Road is a long, mostly one laned affair. 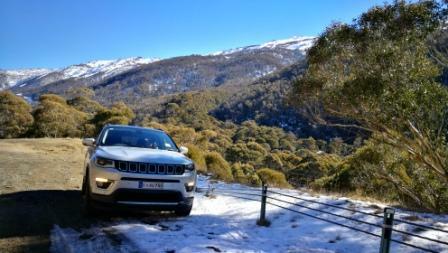 It was here that the Jeep Compass and its all wheel drive system gets a workout. Slip the dial onto Sand and the dash lights up with an icon saying so. However it also shows that the traction control is disengaged. To us it seems odd that on such a surface that traction control would be disengaged. Especially when farmers are lawfully allowed to range cows freely on the roads. What also happens is that the computer bumps the engine’s rev point to around three thousand, taking advantage of the rise of the torque curve. This endowed the Compass Limited with a frisky, energetic, attitude, and could be coaxed into gentle skids on turns where it could be done safely. The handling tightens up and becomes even more responsive, and there’s just enough freeplay in the steering to set up for a Scandinavian flick style turn. The taut suspension also magically dials out the rutted surfaces and worked the coil springs wonderfully. The car could be throttle controlled, easing off for the turns before getting back on the juice, powering out and settling the Compass. Overnight in Bega and north along the Princes Highway. Again there were far too many examples of why the government’s myopic focus on speed is a failure. Should the highway patrol police vehicles without working indicators then an absolute motza would be made and basic driving standards would increase. Further north to Nowra and to Kangaroo Valley. Again the uphill runs tested the engine and transmission and still averaged a sub nine litre figure. The final run from Mittagong and Bowral and along the Hume to home, and the Compass Limited is settling into a rhythm. It’s a rev point of under two thousand at cruising speed and the car is composed, relaxed, almost as if it knows the home base is near. Private Fleet Car Review: 2018 Holden Equinox LT Diesel. 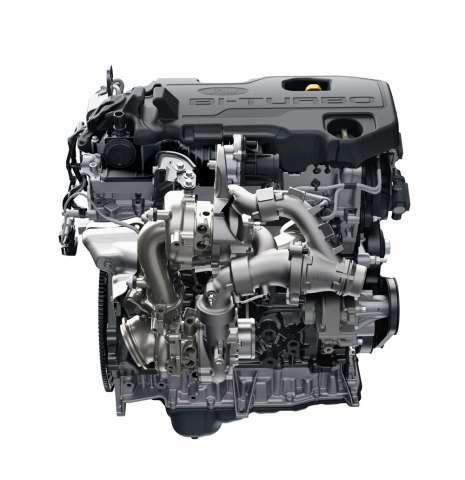 What the diesel offers is a 1.6L capacity engine, with a six speed auto transmission only. The current RRP is $39,990 and that’s a three thousand dollar difference over the equivalent petrol version. Standard warranty is five years but Holden were offering a seven year package. Peak power is 100kW, with peak torque being a very good (for the size of the engine) 320Nm. That’s a narrow maxium torque range, from 2000 to just 2250 rpm. Fuel consumption for the 1.6L in LT trim is a thrifty 5.6L/100 kilometres on the combined cycle. Go to the heavier LTZ & LTZ-V and that goes to 5.7L/100km or 5.9L/100 km. 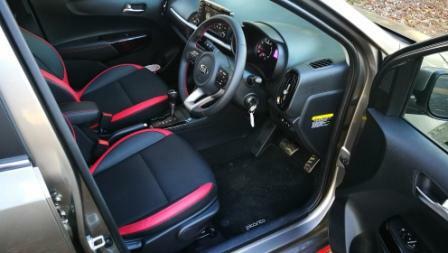 The six speed auto is also a standard auto, in that it’s a torque converter style, not a dual clutch or CVT. It’s an interesting drive setup; the traction control appears to have been formulated to allow some front wheel drive slip. Give the go pedal a good prod from stand still and there’s a noticeable scrabbling for grip for a second or two before the tyres hook up. Actual forward motion is deceptively quick. There’s a mild thrum from the front, which indicates there’s plenty of noise insulation and there is. There’s sheets fitted to the wheel arch and firewall, plus there’s a form of active noise cancellation too. The transmission selector is the same mechanism as found on the nine speed, with a rocker + and – switch for manual shifting. Like most well sorted electronic autos, there’s little to be gained in normal driving conditions by using the manual change. From a standing start and a low throttle application, the six speeder rarely disappointed. 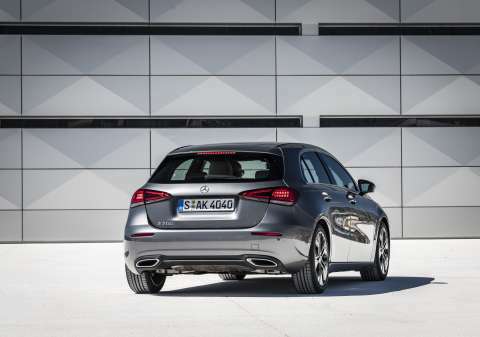 The diesel itself is throttle responsive, with a free spinning nature up to around 4000 rpm. Our real world drive, covering both urban and highway, saw a final fuel consumption figure of 6.1L/100 with a 75/25 urban leaning driving style. Expect that figure to increase if you fit a towbar and utilise its 1500kg (braked) towing capacity. 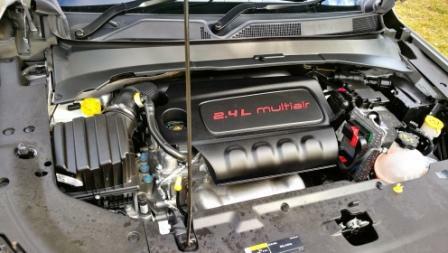 Bear in mind it’s a small diesel, not the bigger 2.0L or 2.2L (or even bigger) as seen in larger SUVs or utes. Other reviews seem to point out the relative lack of oomph from this engine but they’ve matched the 1.6L in the Equinox against 2.2L engines as found elsewhere. A fairer comparison would be against Suzuki’s excellent Vitara diesel. Although smallish, there’s still plenty of get up and go for when it’s needed. Roll off slowly and there’s quiet, unobtrusive changes and barely a hint of that traditional diesel rattle. Push a little harder and the changes are crisper, with the engine making itself known audibly but still quietly as mentioned. It’s really only when a heavy right foot is employed that the diesel really gets noisy and the six speeds seem to be lacking a cog or two or three. Holden’s electronic engineers haven’t built in a feature to turn the Stop/Start mechanism off. The theory behind the feature is that it’s a fuel and emissions saver for when stopped at stop signs or red lights. the downside is that sometimes the car’s barely stopped before forward progress can be restarted. It can catch the car (and driver) unawares and sees the Equinox lurching forward, rather than moving smoothly. 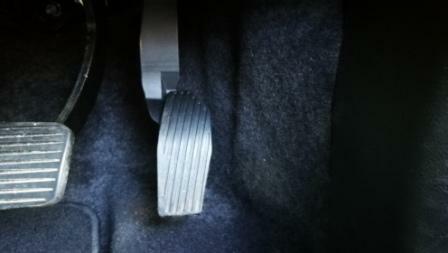 A little trick is that if the foot is lifted slightly off the brake pedal, it’ll re-engage the engine and still stop the car moving forward. Ridewise it’s the same well sorted and compliant Australian tuned for Australian conditions ride as found in the petrol models. If there’s really anything that Holden should consider with the Equinox diesel, it’d be to evaluate having the nine speed fitted and calibrated to suit the specific torque delivery of the smaller oiler. Another factor to consider is the forthcoming release of the Acadia, a larger SUV and a seven seater at that, helping Holden to re-target customers in the SUV market. Contact Holden for more details on both and contact Private Fleet to see what we can do on a deal. 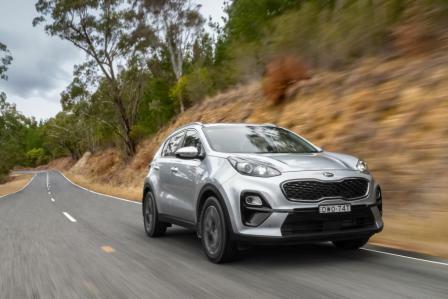 2019 Kia Sportage Has Arrived. 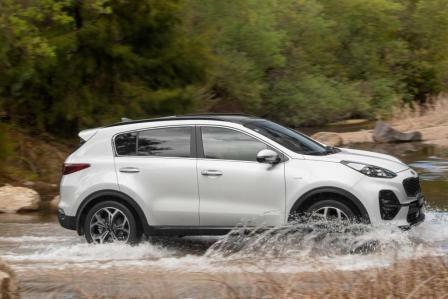 Korean car maker Kia has given its Sportage mid sized SUV a mid life makeover. There’s some exterior enhancements, interior updates, and changes to the safety packages. Safety: Autonomous Emergency Braking (AEB) and Lane Keep Assist (LKA) are now standard across the range. Diesel transmission: an eight speed auto is standard for any diesel engined model. The Si has as standard: ABS, ESC, Downhill Brake Control, Hill Start Assist, reverse parking sensors, rear view camera with dynamic guidelines, Lane Keeping Assist, AEB with Forward Collision Warning, High Beam Assist, 3-point ELR seatbelts in all positions, six airbags, front seatbelt pretensioners and load limiters, and impact sensing auto door unlocking. Also standard on the Si is Apple CarPlay and Android Auto connectivity, engine immobilizer, remote central locking, 6-way adjustable driver’s seat, 6-speaker audio unit, cloth trim seats, rain sensing wipers, cruise control, power windows front and rear, Bluetooth functionality, 2.0-litre MPi engine or 2.0-litre CRDi engine, 6-speed automatic on petrol and 8-speed on diesel and 17-inch alloys with 225/60 R17 tyres. Next up is the Si Premium. Satnav is standard, as are front parking sensors, LED DRLs, 225/55/18 rubber and alloys, DAB and an eight inch touchscreen, plus ten years worth of SUNA satnav. SLi adds a tyre pressure monitoring system, powered driver’s seat that’s adjustable for ten ways, and LED rear lights. The GT-Line ups the ante even further with Blind Spot Detection, Rear Cross Traffic Alert, 8-way power front passenger seat, Intelligent Parking Assist System, LED fog lights, GT-Line sports pack (bumpers, side sill and grille), panoramic sunroof, flat-bottomed sports wheel with gear-shift paddles, wireless phone charging, heated and ventilated front seats, hands-free power tailgate, Advanced Smart Cruise Control, 19-inch alloys with 245/45 R19 rubber and LED headlights with auto levelling. 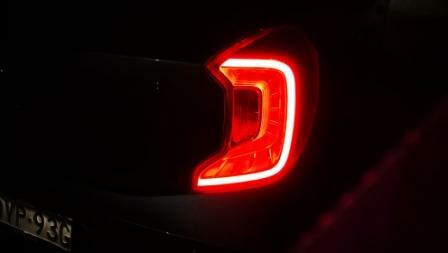 Exterior design changes have the rear lights tidied to provide a more integrated look and better brake light visibility. LED lamps up front for the GT-Line provide a better lighting spread, plus the bezels for the fog lights in the Si and Si Premium have been sharpened for a more assertive road presence. Even the wheels have been changed in design for a new, fresh, look. Interior room has been increased with a 30mm lengthening of the wheelbase. Overall length has moved to 4485mm, an increase of 45mm, with headroom and legroom increasing by up to 19mm. A subtle lowering of the bonnet’s leading edge adds to raising pedestrian safety levels. Underneath are changes that aren’t easily seen but will be noticed on road. Revised and relocated suspension components. The suspension bushes have been moved, wheel bearings have been stiffened, as have the bushings. The rear suspension cross member was also uprated to reduce vibration input to the cabin and the whole rear subframe has been mounted on uprated and isolated bushings. Motorvation is courtesy of a 2.0L petrol four with 114kW and 192Nm of torque, 2.4L petrol with 135kW & 237Nm. 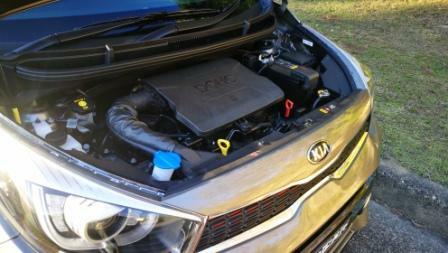 The diesel is 2.2L of capacity with 136kW and a thumping 400Nm of torque. Pricewise: Si 2.0-litre petrol: $29,990. Si 2.0-litre diesel: $35,390. Si Premium Petrol: $32,290 (D/A $31,990). Si Premium diesel $37,690 (D/A $37,390). 2019 Hyundai Santa Fe Is On The Way. 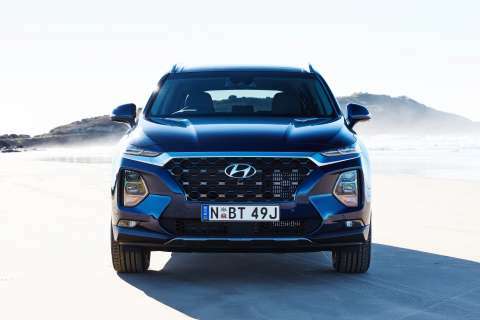 Hyundai‘s big SUV, the Santa Fe, has received a substantial makeover and it’s heading our way. The sheetmetal has been completely reworked, safety standards have been lifted, and overall ride & build quality has been improved. The Active petrol starts from $43,000, with the diesel at $46,000. The Elite kicks off at $54,000, and Highlander at $60,500, with these being the manufacturer’s list price. Here’s what we’ll be getting. 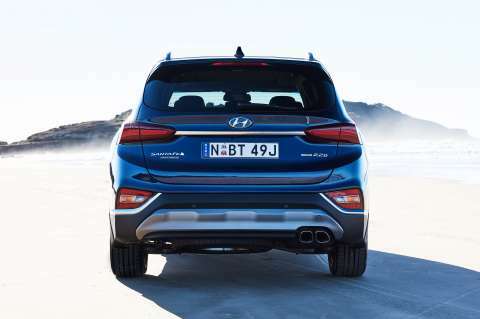 Santa Fe comes in three trim levels: Active, Elite, and Highlander. 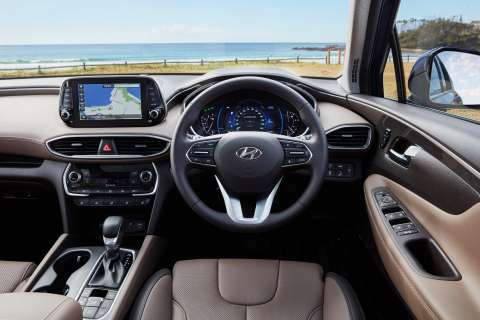 The Active offers a choice of a 138kW 2.4L petrol and six speed auto or a revamped 440Nm diesel and eight speed auto that’s new to the Korean brand and gears can be paddle shift selected. The petrol’s peak torque of 241Nm is available at 4000 rpm. The diesel offers the peak amount from 1750 to 2750 rpm. Economy for the petrol is quoted as a reasonable 9.3L/100km on a combined cycle. The Elite and Highlander are specced with the EURO 5 compliant diesel and is quoted as 7.5L/100km for the combined. The exterior has been sharpened and flattened all around. Design cues from the Kona are strong, with the signature Cascading Grille, which is in a carbon effect finish on Elite and Highlander, split level lighting system being balanced via reprofiled tail lights which are LED lit in the Highlander. In between is a reprofiled body including a strengthened look to the wheel arches. Overhang at the rear has increased, and the overall length has gone up too. It’s an increase of 70mm to 4770mm and wheelbase size is also up, to 2765mm. Hyundai has also relocated the wing mirrors to the door panels. Height and width are impressive at 1680mm and 1890mm. Drive is courtesy of the HTRAC AWD system which is standard in all three and ride is thanks to revamped MacPherson struts and multilink rear. The HTRAC system comes in three drive modes, Comfort, Sport, and Eco, with torque being apportioned front or rear depending on which mode is selected. Sport has up to 50% shifted rearwards, Comfort up to 35%, and Eco goes to the front wheels. The rear has been stiffened and components realigned to provide more travel. 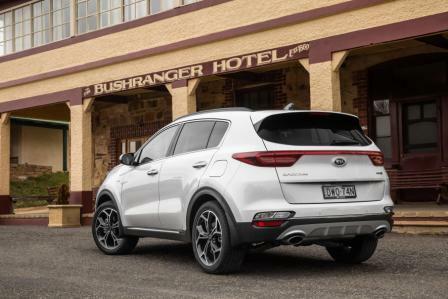 Suspension rates have been further adapted for Australian roads so the Santa Fe will sit more comfortably on the road yet will follow contours precisely. Weight has been saved by utilising aluminuim for the front steering knuckles and rear carrier mountings for a total of 3.6kg and 5.6kg for each side. Safety has gone up a notch or two also. 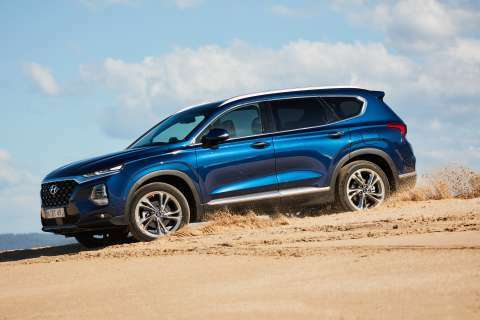 The physical structure of the Santa Fe has been improved with fifteen percent more high tensile steel and fifteen hot stamped components, up from six. Then there’s the standard list of equipment. Forward Collision Avoidance Assist (FCA) with pedestrian and cyclist detection (with autonomous application), Smart Cruise Control (SCC) with Stop and Go, Blind Spot Collision Avoidance Assist (BCA)Rear Cross Traffic Collision Avoidance Assist (RCCA), Driver Attention Warning (DAW), High Beam Assist (HBA), Lane Keeping Assist (LKA) are in all three. A couple of other nifty features are auto opening tailgates for the Elite and Highlander when the Smart Key is detected, and there’s a “Walk In” feature for the second row of seats that folds them flat, allowing easier rear seat access. 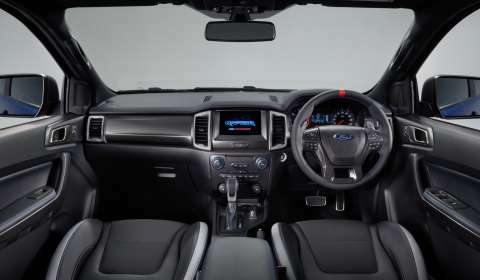 The sound system in the Elite and Highlander is a ten speaker setup courtesy of Infinity. Highlander also features a smartphone charging pad for compatible items. Head to Hyundai’s website for more information.